First of all. If you have several products then you don't need those reports. Because, analytic data is very small for them. If you have a lot of products then you see that more important feature and reports are missed. For example. All products present in reports. It is good. But those reports don't have advanced filters. You cannot set category or another important filter. You only have thousand positions in table. Another example. Everyone knows that OpenOffice Calc (Excel) is a powerful tool for analysis. But how to use them? The reports do not support the CSV or XLS export data. Need more examples? I have question for you. How many time are you will spend for check all leftover merchandise? I think, if you are have thousand positions then this mission is impossible. 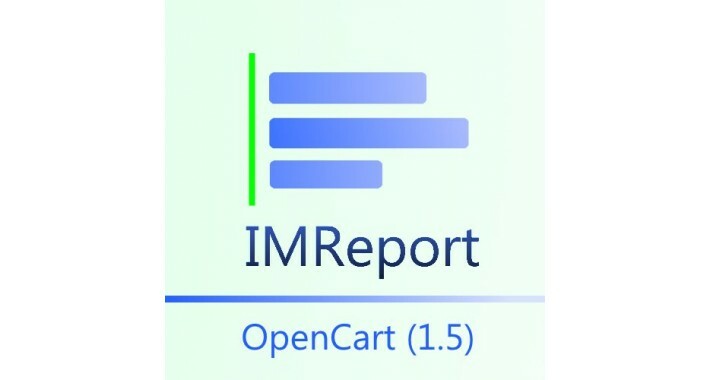 However, these problems can be solved with this module “IMReport – Extended Reporting”. 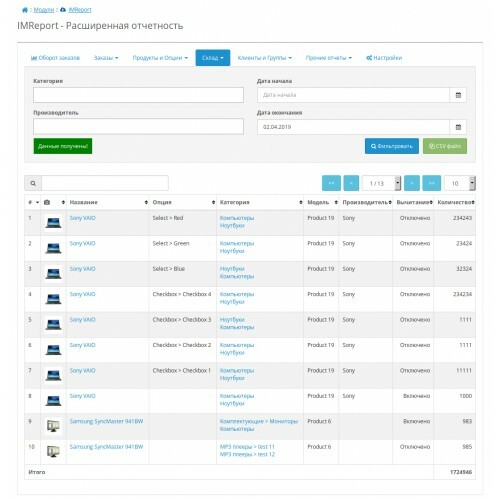 Demo OpenCart 1.5 (demo / demo) (Original). 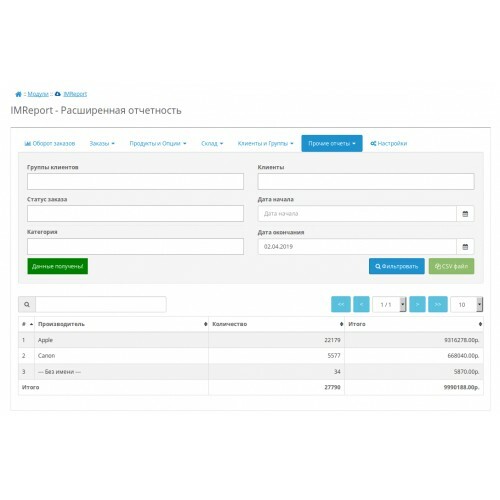 Demo OpenCart 1.5 (demo / demo) (Russian lang). This report is advanced version of standard report “Products Purchased Report”. First of all. If you do not know yet then "amount in standard report" calculated incorrectly. But In module IMReport you get correct amount. Additional, you have filters by category and by manufacturers and also you have sort by fields. 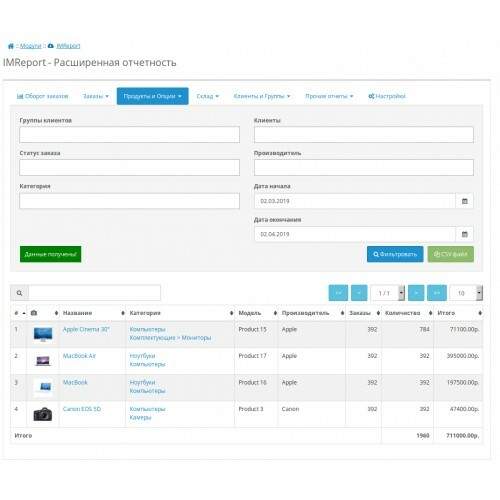 This report will show you information about all purchases of product (by only product and by product options). Example for you. Imagine. You have product “Computer”. This product have option “RAM” (4Gb, 8Gb). So, standard reports do not calculate count and amount for all variations. You have only total sums. But this module provide report where you get this data. Advanced filters and sort are included. This report allows you to check leftover merchandise on the stock. A special feature is that the report is presented as a residue for the product itself and for its separate options. Note that in this report are summed up only products (without discounts). Note that the browser capabilities are not as great as is have Excel or OpenOffice Calc. The browser is quite difficult to display thousands of items. Therefore, if you need to analyze a large enough volume of products, for example, all the products of 20,000 positions (including options), it is better to use the export to a CSV file, because Excel and OpenCalc easily cope with such loads. 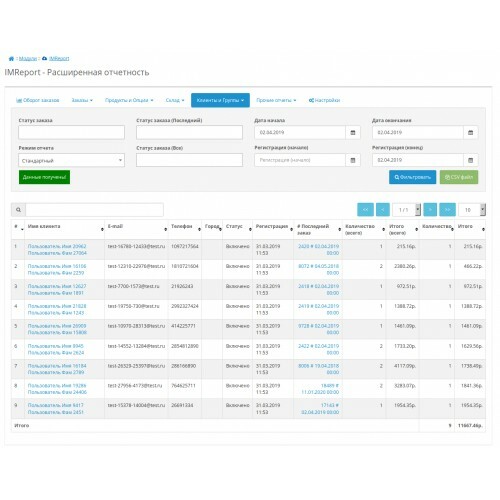 This report allows you to quickly find out what products are missing in the warehouse and they must be ordered from suppliers. The report is used in two stages. First. On the "Stock balance control (settings)" tab it is necessary to set the minimum balances for the goods and their options. Note that if the value is negative, then such a product will be displayed in accordance with the report settings. If, for a product or an item option, a specific minimum residue value is specified, then such a product or option will be displayed in accordance with what is available in stock or not. If the product or option is need to be hidden from the report, it is sufficient to specify the value of 0 (less than zero residuals can not be). Second. Once you have specified the settings, you can use the report. For all products or options with negative or no residuals at all, the filter value "Minimum quantity (default)" is applied. So if you have most of the goods or their options must be presented in the same quantity, you do not need configure them. Note. To simplify the process, the initial value of the minimum quantity is specified in the localization file. The parameter "default_min_need_quantity". Note: It is possible to quickly edit values directly from the first report. This is a monthly report for the period. You get count of orders and total amount for each month. 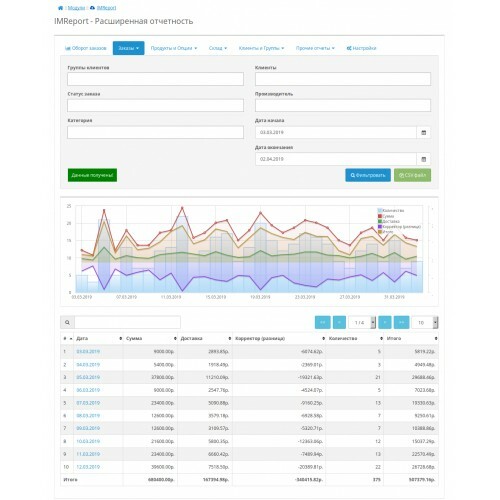 This report have the filters by order status and by month. So, you can see count of canceled orders or count of processed orders. Note that price in this report calculated as sum of orders total (include tax, shipping and discounts). This is a daily report for the period. This report provides data on groups of clients during the period, taking into account the specifics of the purchased products and their categories. Note that price in this report calculated as sum of orders total (include tax, shipping and discounts). 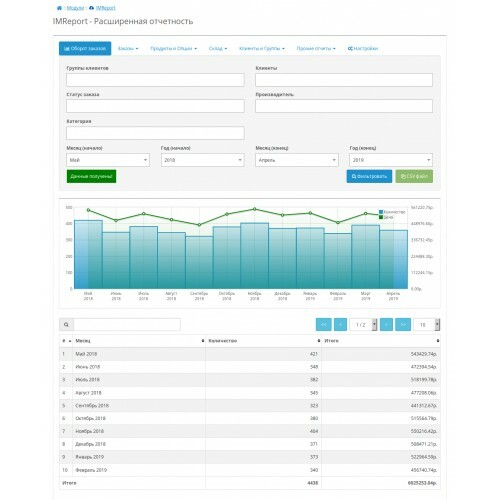 This report allows you to see the volume of orders for each country and region for the period, taking into account the specifics of the purchased products and their categories. Note that price in this report calculated as sum of orders total (include tax, shipping and discounts). 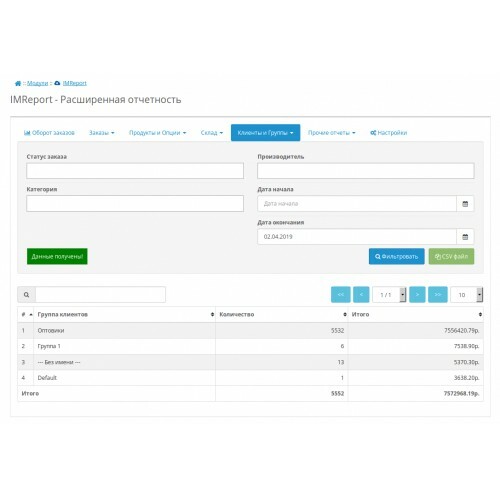 Report "Orders (customers, delivery, payment)"
This report allows you to filter all orders by customers and their used delivery and payment methods with the ability to filter by name and method codes. This report is especially useful in cases where it is necessary to analyze the most preferable methods of payment and delivery for some clients. For example, to provide better conditions for regular customers. This report allows you to see the volume of products sold for each producer for the period, taking into account the specifics of the purchased products and their categories. Note that in this report are summed up only products (without discounts). 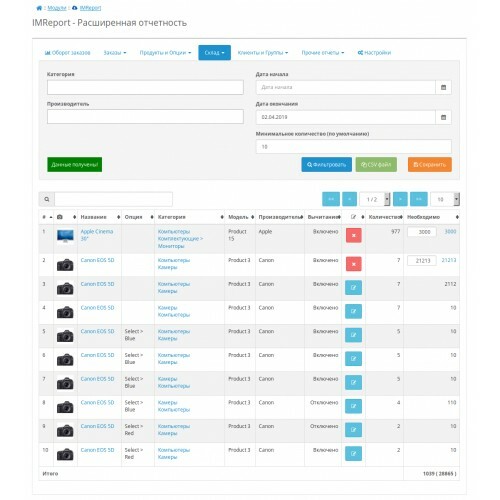 This report allows you to see the popularity of the options in your orders over a certain period of time, taking into account the filter by category and manufacturers. In other words, now you can learn the most popular sizes of clothes or modification of computer. First. Standard. 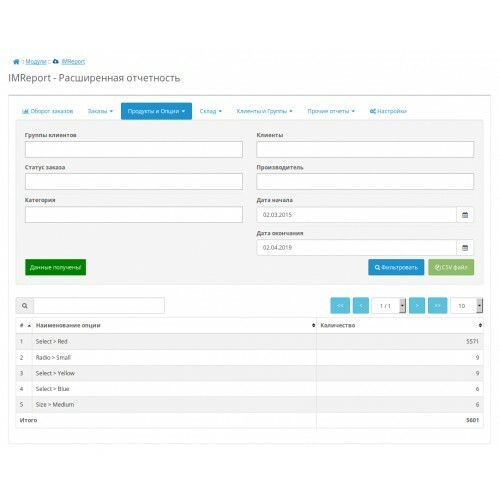 This report displays data on the number of customers and their orders for the specified period. In it a little more information than it is have in standard report for customers. However, an important feature is the ability to not only view, but also sorting, which is important when you have far more than one client. Second. Search only registered (without purchase). If you need to keep track of customers, who have gone half way, in other words, have been only registered and did not purchase anything, this report will lead them. 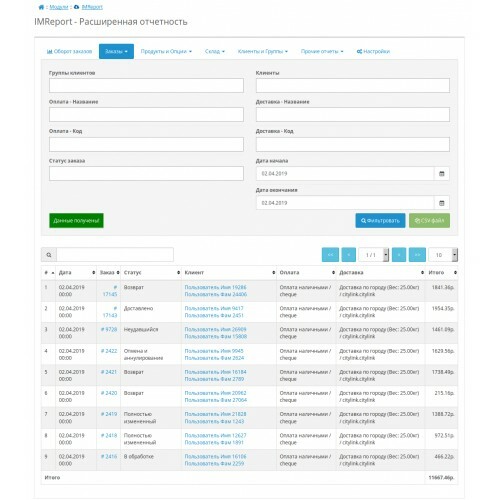 The feature of this mode is that the filter by date is applied to the date of registration. The third. Search for lost customers. The essence of the report follows from its name. The report displays a list of customers who have ever shopped in your store, but did not buy anything for the specified period. With it, you can, for example, to know which customers do not buy anything for a year (day / month and so on), or find out what customers in the past few month did not buy due to a decrease in demand (for example, to understand how dependent the commodity chain from those conditions). 1. Multiple filters. 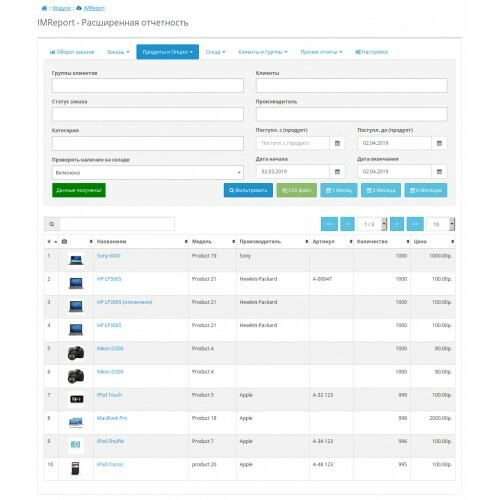 If you select multiple items and one of them "All Items" then this item is not perceived, and filtering is performed on the rest of the selected manufacturers. If you need to get data to all items then you need select only "All Items" or you can deselect all items. 2. By default, the encoding of the site is considered to be UTF-8. 3. It is necessary that the iconv module is connected (usually it is enabled in hosting), otherwise the output of the CSV file can only be done without encoding. 4. A semicolon is used as a separator in the CSV file. 5. In the report “Orders by days” you cannot use empty dates. If the date is incorrectly set, then the current server date is set instead. If the start date of the period exceeds the end date, the start date is considered the end date. 6. 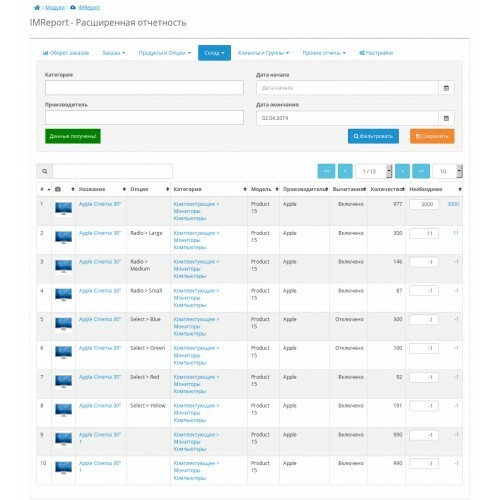 Amounts are calculated in the base unit of the opencart engine. Please note that it is not the currencies, but the base unit of engine, because editing currencies (for example, changing the default currency) does not to recalc orders. 4. 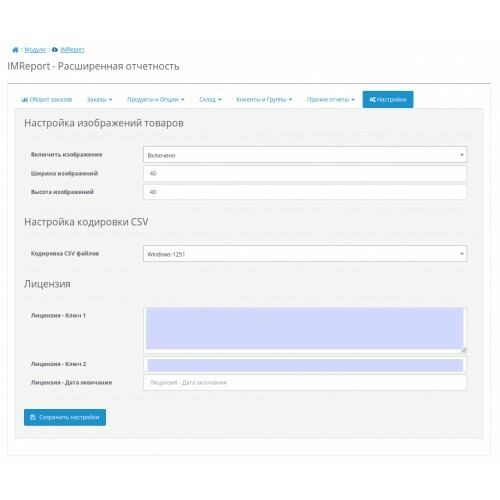 Open module in admin panel (editing). The license applies only to a single site. Those. 1 domain = 1 payment. By purchasing this module, you automatically agree with the text of the license. The module has a spread of the principle of "as is" ( "as is").